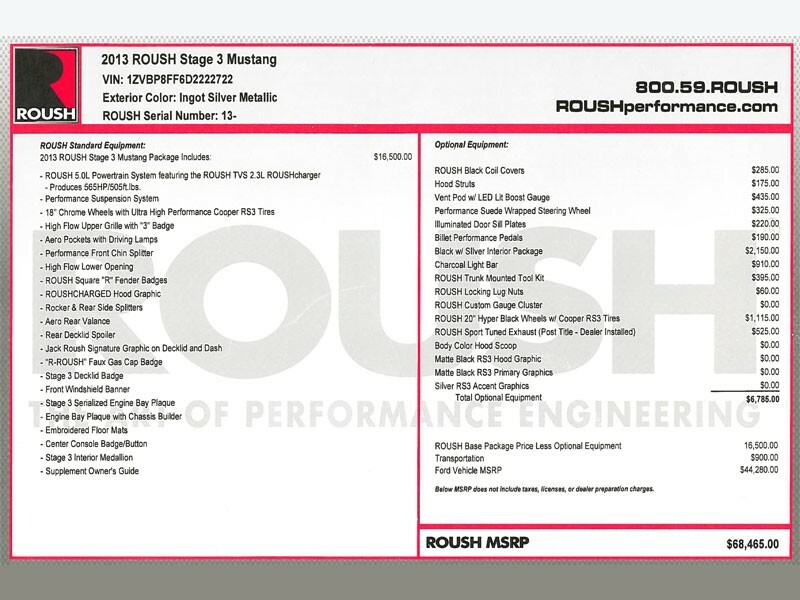 The ROUSH Window Addendum provides authenticated vehicle content and pricing information. 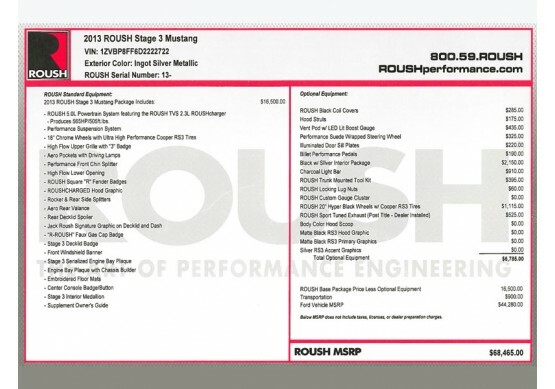 Each window addendum offers a detailed list of the ROUSH performance package content and options installed on your ROUSH-built vehicle. Getting a ROUSH Window Addendum allows you to have a piece that can be misplaced or not be given to new owners. Purchase a new copy of your addendum that you can be proudly display at home, in your garage, or at car shows. The window addendum is only available for 2004-current year ROUSH Mustangs and F-150s. Your vehicle must be ROUSH-serialized to qualify for this product. If unsure your vehicle qualifies please call 800-59-ROUSH and talk to a customer service representative for verification.